President Evan Unzelman presented Secondary Planning for Charitable Remainder Trusts at Southern Arizona Estate Planning Council in Tucson, AZ. Sterling Foundation Management cordially invites you to join us for lunch. Colleagues, spouses, and other guests are welcome. Please email Rebecca Mallett Custodio if you would like to join. Sterling a Platinum Sponsor at 53rd Annual Heckerling Institute on Estate Planning in Orlando, FL. Sterling an exhibitor at the 63rd Estate Planning Seminar in Seattle, WA. Sterling President Evan Unzelman discussed strategies for charitable trusts, foundations, and family limited partnerships at the 2018 Advanced Tax Planning Institute in Carlsbad, CA. Sterling a Sponsor at the 55th Annual Hawaii Tax Institute in Honolulu, HI. Sterling a Sponsor at ACTEC 2018 Fall Meeting in Washington, DC. Sterling a Bronze Sponsor at the 13th Annual Jerry A. Kasner Estate Planning Symposium in Santa Clara, CA. President Evan Unzelman discussed Secondary Planning for Charitable Remainder Trusts (CRTs) in West Palm Beach, FL. Sterling a Sponsor at ACTEC 2018 Mid Atlantic Meeting in Baltimore, MD. Sterling a Sponsor at ACTEC 2018 SE Regional Meeting in Asheville, NC. Sterling a Sponsor at ACTEC 2018 Summer Meeting in Chicago, IL. Sterling a Lunch Sponsor at Georgia Federal Tax Conference in Atlanta, GA.
Sterling a Sponsor at 40th Annual Queens University of Charlotte Estate Planners Day in Charlotte, NC. Sterling an Exhibitor at NYSBA Trust & Estates Law Section Spring Meeting in Sea Island, GA.
President Evan Unzelman discussed Secondary Planning for Charitable Remainder Trusts (CRTs) at Probate & Pumpernickel luncheon in Palm Beach Gardens, FL. Sterling a Sponsor at ACTEC 2018 Annual Meeting in San Antonio, TX. Sterling Foundation Management cordially invites you to join us for lunch. Sterling a Platinum Sponsor at 52nd Annual Heckerling Institute on Estate Planning in Orlando, FL. Sterling a Sponsor at the EPCNYC dinner. President, Evan Unzelman presented on Secondary Planning for Charitable Remainder Trusts (CRTs) in New York, NY. Sterling an exhibitor at the 62nd Estate Planning Seminar in Seattle, WA. Sterling a Sponsor at the 54th Annual Hawaii Tax Institute in Honolulu, HI. Sterling a Sponsor at the 2017 Fall Meeting in Nashville, TN. Sterling a sponsor at Probate & Pumpernickel Luncheon. President Evan Unzelman discussed Secondary Planning for Charitable Remainder Trusts (CRTs) in Fort Lauderdale, FL. Sterling President Evan Unzelman presented on Charitable Giving at the first Annual Client Summit in Menlo Park, CA. Sterling a Sponsor at the 2017 New Jersey Regional Meeting in Long Branch, NJ. Sterling a Sponsor at the 2017 SE Regional Meeting in Roanoke, VA.
Sterling a Sponsor at the 2017 New England Regional Meeting in Lenox, MA. Sterling a Sponsor at the ACTEC 2017 Summer Meeting in Seattle, WA. Sterling President Evan Unzelman a speaker at Lion Street Trusted Advisors Conference in Las Vegas, Nevada. 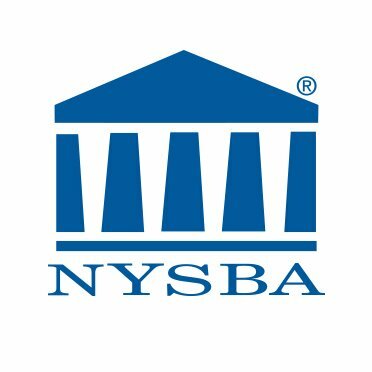 Sterling a sponsor at NYSSCPA FAE Estate Planning Conference in New York, NY. Sterling President Evan Unzelman discussed Secondary Planning for Charitable Remainder Trusts (CRTs) at Probate & Pumpernickel Luncheon in Sarasota, FL. Sterling President Evan Unzelman presented to the Estate Planning & Probate Law Sections of the Atlanta Bar Association in Atlanta, GA.
Sterling a Bronze Sponsor at 2017 AALU Annual Meeting in Washington, D.C.
Sterling a Sponsor at ACTEC 2017 Heart of America Regional Meeting in Bentonville, AR. Sterling a Sponsor at ACTEC 2017 Annual Meeting in Scottsdale, AZ. Sterling a Platinum Sponsor at 51st Heckerling Institute on Estate Planning in Orlando, FL. Sterling an exhibitor at the 61st Annual Estate Planning Seminar in Seattle, WA. Sterling a Bronze Sponsor at the 12th Annual Jerry A. Kasner Estate Planning Symposium in Santa Clara, CA. Sterling a sponsor at Exponent Philanthropy 2016 National Conference in Chicago, IL. Vice President of Foundation Consulting & Management Ellen Fishbein joined panel discussion of "Many Ways to Give." Sterling an exhibitor at the 51st Annual Southern Federal Tax Institute in Atlanta, GA.
Sterling a sponsor at Partners Financial Idea Forum in Chicago, IL. Sterling a sponsor at Purposeful Planning Institute Rendezvous Conference in Broomfield, CO.
Sterling a sponsor at Purposeful Planning Institute Fusion Conference in Broomfield, CO.
Sterling a Silver Sponsor and presenter at AICPA Advanced Estate Planning Conference in Washington, DC. Sterling a sponsor at Opal Family Office and Private Wealth Management Forum in Newport, RI. Vice President of Foundation Consulting & Management Ellen Fishbein joined panel discussion of "The Entrepreneur and Philanthropist as the Catalyst for Change." Sterling President Evan Unzelman discussed strategies for charitable trusts, foundations, and family limited partnerships at the 2016 Advanced Tax Planning Institute in Carlsbad, CA. Sterling a sponsor and presenter at AAA-CPA Annual Meeting & Education Conference in Wailea Beach, Maui, HI. Managing Director David Murray presented topics including charitable optimization and CRT Rollovers. Sterling a Patron Sponsor at Social Impact Exchange 2016 Annual Conference in New York, NY. Sterling a sponsor at ACTEC 2016 Summer Meeting in Boston, MA. Sterling a Silver Sponsor at Colorado Estate Planning Retreat in Snowmass, CO.
Sterling a sponsor at AICPA Tax Strategies for the High-Income Individual in Las Vegas, NV. Sterling a sponsor at AICPA Private Foundation Summit in Las Vegas, NV. Sterling a Premier Sponsor and presenter at AiP Conference on Philanthropy 2016 in Chicago, IL. Vice President of Foundation Consulting & Management Ellen Fishbein and Managing Director David Murray discussed current trends in the charitable planning space with attendees. Sterling a Bronze Sponsor at 2016 AALU Annual Meeting in Washington, D.C.
Sterling an exhibitor at IMCA 2016 Annual Conference Experience in Orlando, FL. Sterling a Sponsor at ACTEC 2016 Annual Meeting in Las Vegas, NV. Attendees of the Omaha Estate Planning Council gained knowledge of Secondary Planning for CRTs from Sterling Managing Director David Murray in Omaha, NE. Sterling President Evan Unzelman a speaker at Lion Street Institute in Austin, TX. Sterling an exhibitor at Forum 400 2016 Annual Meeting in Bonita Springs, FL. Sterling a Platinum Sponsor at 50th Heckerling Institute on Estate Planning in Orlando, FL. Sterling an exhibitor at Wilson Conference's Family Office Super Summit in Miami, FL. Sterling an exhibitor at Opal Financial Group's Endowment & Foundation Forum in Boston, MA. Sterling President Evan Unzelman presented how to uncover new opportunities in existing CRTs at the Advanced Tax Planning Institute in Carlsbad, CA. Sterling an exhibitor at the 60th Annual Estate Planning Seminar in Seattle, WA. Sterling an exhibitor at Opal Financial Group's Family Office & Private Wealth Management Forum - West in Napa, CA. Attorneys responded exceptionally well to Evan Unzelman's presentation of the Sterling CRT Rollover Strategy at the Tax & Estate Planning Forum in San Diego, California. Sterling President Evan Unzelman presented the income interest sale and CRT Rollover options in detail with attendees at FFR in Savannah, GA.
Sterling a Sponsor at ACTEC Regional Meeting in White Sulphur Springs, WV. Sterling an exhibitor at Florida Banker Associations's Trust & Wealth Management Conference in Naples, FL. Sterling an exhibitor at Opal Financial Group's Family Office & Private Wealth Management Forum in Newport, RI. Sterling an exhibitor at ACTEC Summer Meeting in Quebec, Canada. Tax professionals and financial advisors lauded the value proposition of Sterling's Rollover strategy at the Advanced Tax Planning Institute in San Diego, California. President Evan Unzelman presented the benefits of Sterling's CRT Rollover strategy at a National Advisors Trust Company conference in Kansas City, Missouri. Sterling's CRT rollover strategy was praised as an innovative approach to solving client's CRT alignment issues at FEI's Wealth Blueprinting Symposium. Sterling presented the benefits of its CRT Rollover strategy at AIP's Conference on Philanthropy in Chicago, IL. Sterling's CRT Rollover strategy was well-recieved at the Forum 400 annual meeting in San Antonio, TX. Sterling President Evan Unzelman gave the keynote speech at the 49th Heckerling Institute on Estate Planning, Orlando, FL. Sterling a platinum sponsor at the 48th Heckerling Institute on Estate Planning, Orlando, FL. Sterling a breakout session sponsor at the Conference on Philanthropy hosted by Advisors in Philanthropy, Las Vegas, NV. Sterling Regional Sales Director David Murray a speaker and Sterling a sponsor at Pinnacle Study Group, Austin, TX. Sterling Regional Sales Director David Murray a speaker and Sterling a sponsor at The Forum 400 2013 Annual Meeting, San Antonio, TX. Sterling COO Evan Unzelman a luncheon speaker and Sterling a platinum sponsor at the 47th Heckerling Institute on Estate Planning, Orlando, FL. Sterling a sponsor of The 49th Annual Conference hosted by the National Association of Estate Planners & Councils, Orlando, FL. Sterling a Gold Sponsor of the 57th Annual Estate Planning Seminar hosted by WSBA and EPC of Seattle, Seattle, WA. Sterling the luncheon sponsor at The 31st Annual Southern California Tax and Estate Planning Forum, San Diego, CA. Sterling an exhibitor at The 47th Annual Southern Federal Tax Institute, Atlanta, GA.
Sterling Regional Director David Murray a speaker and Sterling a sponsor of the IDFA 2012 National Conference. Sterling an exhibitor at the 2012 AICPA Advanced Estate Planning Conference. Sterling an exhibitor at the 2012 Planning for the Generations Symposium. Sterling Regional Director David Murray a speaker and Sterling a sponsor of the 2012 Stratos Wealth Partners Annual Meeting. Sterling Regional Director David Murray a speaker and Sterling a silver sponsor of the 2012 AICPA/AAML Conference on Divorce, Las Vegas, NV. Sterling Director of National Accounts Scott Schoettlin a speaker and Sterling a world championship sponsor at the 2012 Wealth Opportunities Symposium hosted by Essex Securities, Las Vegas, NV. Sterling an exhibitor at the 2012 AICPA Conference on Tax Strategies for the High-Income Individual, Las Vegas, NV. Sterling COO Evan Unzelman a speaker and Sterling a sponsor at Lincoln's Resource Group 2012 Annual Meeting, Las Vegas, NV. Sterling a sponsor at the 2012 Conference on Philanthropy hosted by Advisors in Philanthropy, Rosemont, IL. Sterling Director of National Accounts Scott Schoettlin a speaker and Sterling a sponsor at The Forum 400 2012 Annual Meeting, San Antonio, TX. Sterling a platinum sponsor at the Heckerling Institute on Estate Planning, Orlando, FL. Sterling a sponsor of The 48th Annual Hawaii Tax Institute, Honolulu. HI. Sterling a sponsor of The 48th Annual Conference hosted by the National Association of Estate Planners & Councils, San Antonio, TX. Sterling a sponsor of the AAA-CPA Fall Meeting & Education Conference hosted by the American Association of Attorney-Certified Public Accountants, New York, NY. Sterling COO Evan Unzelman a speaker and Sterling a luncheon sponsor at The 30th Annual Southern California Tax and Estate Planning Forum, San Diego, CA. Sterling a gold sponsor of The 70th NYU Institute on Federal Taxation, New York, NY. Sterling Sales Director Daniel MacDonald a speaker and Sterling a sponsor of The LPL Round Table, Portland, OR. Sterling a sponsor of The Fall 2011 Excell Meeting hosted by Peak Advisor Alliance, Omaha, NE. Sterling an exhibitor at The 46th Annual Southern Federal Tax Institute, Atlanta, GA.
Sterling a silver sponsor at The 37th Annual Notre Dame Tax Institute, South Bend, IN. Sterling COO Evan Unzelman a speaker and Sterling a silver sponsor at The Clinic for Advanced Professionals hosted by the Society of Financial Service Professionals, Philadelphia, PA.
Sterling Regional Director David Murray a speaker and Sterling a luncheon sponsor of the 2011 Planning for the Generations Symposium hosted by Wealth Counsel, Chicago, IL. Sterling COO Evan Unzelman a speaker and Sterling a silver sponsor at the AICPA Advanced Estate Planning Conference, Boston, MA. Sterling an exhibitor at IMCA, Las Vegas, NV. Sterling COO Evan Unzelman a speaker and Sterling a gold coporate sponsor at the FPA of DFW Financial Planning Spring Symposium, Frisco, TX. Sterling an exhibitor at the American Academy of Estate Planning Attorneys Conference, New Orleans, LA. Sterling COO Evan Unzelman a speaker and Sterling a sponsor at Lincoln's Resource Group Annual Meeting, Las Vegas, NV. Sterling a gold sponsor at the Trust and Estate Law 22nd Annual Spring Symposia hosted by the American Bar Association, Washington, DC. Sterling a sponsor at the Barrier Breaker Workshop hosted by Peak Alliance, Washington, DC. Sterling a sponsor at the Seventh Annual International Estate Planning Institute hosted by The New York Bar Association, New York, NY. Sterling COO Evan Unzelman a speaker at The International Forum 2011 Annual Meeting, Phoenix, AZ. Sterling a Sponsor at East Coast Estate Planning Council in West Palm Beach, FL. Sterling a Sponsor at NYSBA Spring Meeting in Naples, FL.